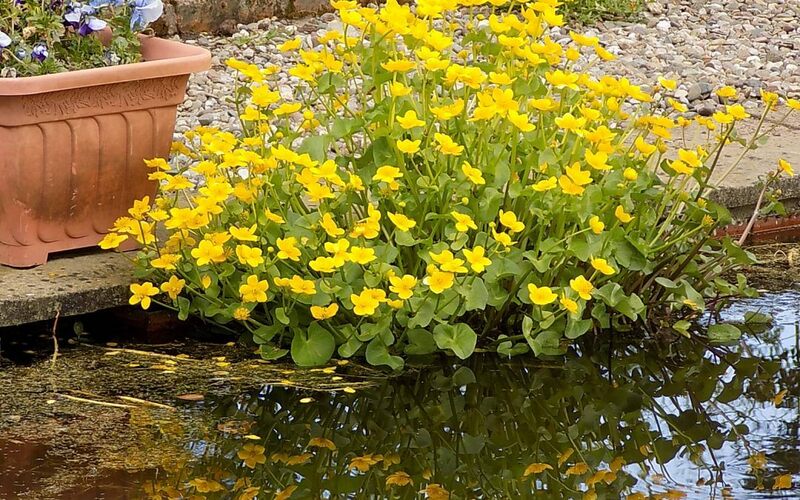 One of the basic rules for effective planting in your pond is to plant each variety of plant into its own planting basket. This allows you to maintain control over the flora of your pond. But the key to successful planting lies with the planting medium you use in your baskets. Our rule of thumb is that the most economical choice is to use your own soil. The test to see if your home soil is clay based, is to squash a handful into a ball and throw it up in the air, if you can catch it without it breaking up you’re in luck! Wherever possible, unless your soil is chalky or sandy, it is best and cheapest to use your own heavy garden loam. Be careful not to include peat or compost, both will add to nutrients in the water that encourage the dreaded blanket weed. All sorts of composts are available from your local garden centre and many will call themselves Aquatic. 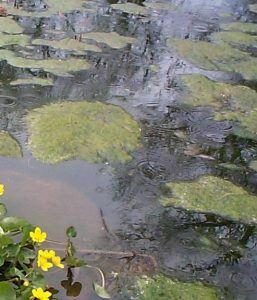 Unfortunately most contain peat, which is really harmful to pond plants. 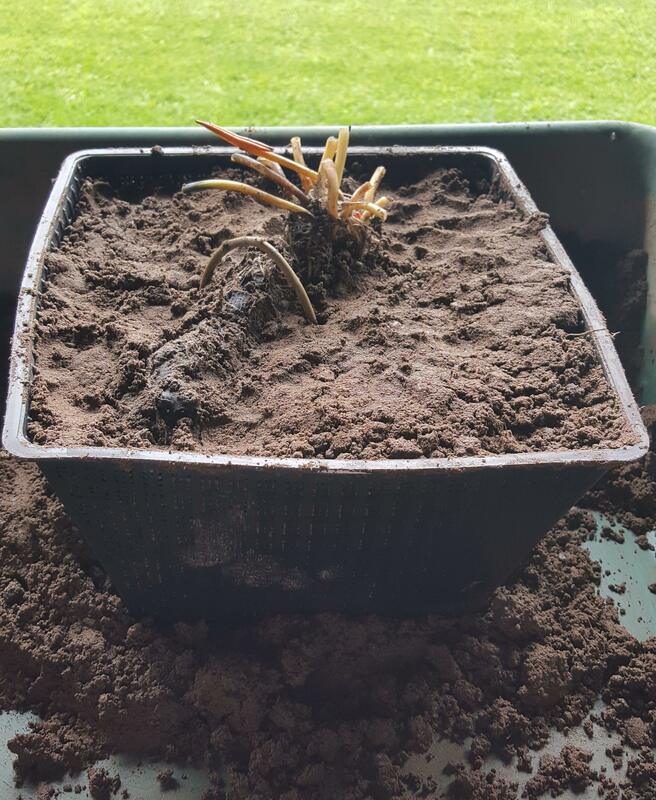 When saturated in water peat produces toxins that attack the roots of plants and lead to plant failure. Over the years we have conducted many trials using commercially available aquatic composts. We have found by bitter experience that any commercial aquatic compost containing 40% or more organic material will probably kill pond plants by destroying the roots. Some of the most popular aquatic composts contain so much peat that it actually dyes the water black. It is extremely difficult then to remove the dye and return the water to a natural state. In our experienced, the best medium for planting water lilies is a soil-based aquatic compost. Water lilies need their roots to be held secure in the soil so that they are in no danger of being washed away. Then they can grow their feeder roots out through the mesh of the basket to absorb the nutrients in the water. If your own garden soil is not suitable, a reliable aquatic compost is a soil-based compost such as Westland Aquatic Compost, which is generally available from most garden centres. For many marginal plants, a purely soil-based compost may be a bit too heavy. We recommend a 50/50 mix of soil-based compost, or your own garden loam, with an M2 potting and bedding compost plus 30gm per 20lt of a general fertilizer such as Osmacote or Gro-more to give growth a boost. It’s never ‘just soil’. 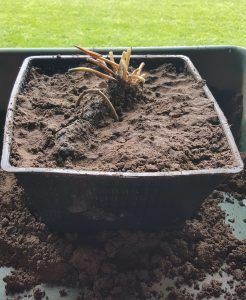 We’ve spent years of trial and error trying out all kinds of growing medium from pure clay and ordinary garden loam to all the latest preparations available on the market. For many it may be just a matter of convenience, for us it is matter of the thriving plants and a surviving nursery.